Our Favorite Holiday Light Strolls in the U.S.
Take time this holiday season to stop and smell the chestnuts roasting on an open fire – literally. In cities around the country, December becomes a feast for the senses with electric light shows, warm music, and even warmer drinks. From millions of twinkling lights and festive treats to a cookie treasure hunt, here are five of our favorite holiday strolls that deliver a delightful winter escape. Step back in time to old Bavaria in the quaint town of Leavenworth, WA, about two hours east of Seattle. 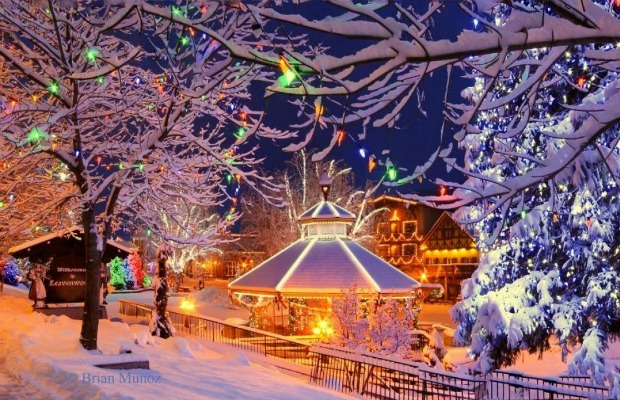 With a population of 2,000, Leavenworth takes great pride in its holiday festivities, as its old-world Bavarian buildings are festooned with Christmas lights and garland. As you explore the small village, kids (and sweet-toothed parents) delight in the specially crafted Cookie Crawl — a special map distributed on Sundays that traces the free cookies on offer in the town. The hub of the festivities is the Leavenworth’s central gazebo, a stage that offers free music performances and meetings with Santa. 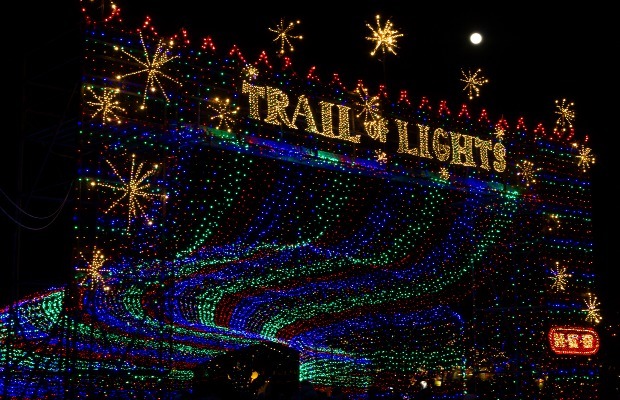 We think that even Scrooge would be impressed with Austin’s famed Trail of Lights, in which more than a million electric bulbs bring Zilker Park to life. Celebrating its 50th year, this 1.25 mile stretch features more than 50 custom-built structures that tinkle and glow. You can keep your hands toasty with hot cocoa while you sample all the delectable treats from the many food trucks that dot the pathway. The city-sponsored event is free on weeknights, though tickets are required for Friday and Saturday visits (at an affordable $3). Northeastern Florida’s St. Augustine delivers a remarkable Christmas with tropical flair. The Nights of Lights festival is a two-month spectacle that starts in late November and this year lasts through February 1. Here, 2.5 million lights line the beach town streets. 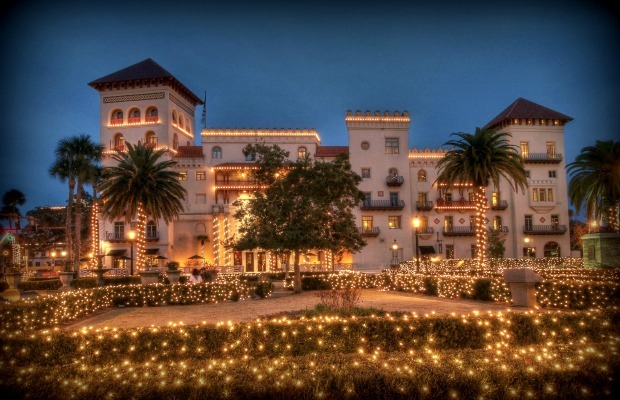 Start your stroll in the comfort of a t-shirt, beginning at the historic Casa Monica and Lightner Museum, and follow the lights north as you take in the many quaint shops and eateries along the way. Lincoln Park Zoo, Chicago’s wildlife park on the scenic coast of Lake Michigan, delights attendees nightly with its ZooLights festival. Free and open to the public, the urban menagerie is decked out with more than 2 million lights. You can also enjoy free holiday crafts and, new this year, the Lionel Train Adventure — a holiday-themed train ride through the park. Along the illuminated pathways that take you through the habitats of black bears, gorillas, giraffes, and more, mulled wine is also on offer. 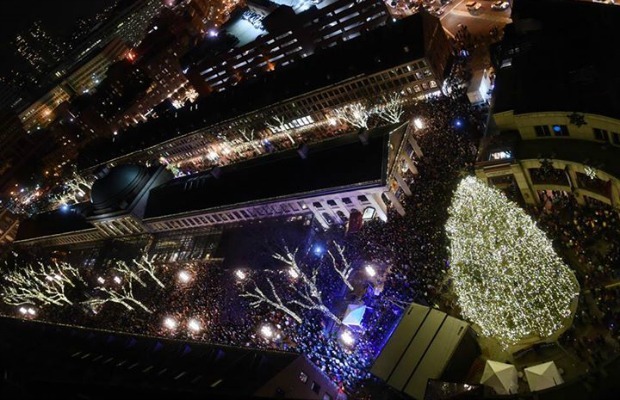 One of Boston’s most popular attractions, Faneuil Hall has been a market and meeting place since 1742. It typically bustles with dozens of stalls that offer fresh food, local crafts, and fun souvenirs. Come late November, the mood shifts as Blink!, the hotspot’s annual holiday light display, takes over. More than 350,000 LED bulbs transform the mall into a winterscape with choreographed lights, programmed to run seven-minute shows that run continuously through each evening. We’re all for strolling, but at some point you’ll want to remain stationary for the best viewing experience, too.